THE HOPES of thousands of Britons that defective Powers of Attorney (“POA”) could let them off the hook were dashed last month when the Supreme Court declared that an interim order of a lower court which pronounced any documents signed under a defective POA as null and void, did not apply to the main defendants, namely the Bank and the Attorney. It only applied, they said, to the Certifying Officer who had not responded to the summons and did not turn up for the hearing of the application. He was ordered to pay the costs of the application but the pronouncement was otherwise meaningless. As it happens, the Attorney who was named as a defendant in that action was not involved in the attestation of the POA and has evidence to suggest that there were clear instructions from the client to use the POA in the manner that it was. We must therefore await further developments on this issue when the Attorney is given a chance to be heard in Court. The outcome of this trial should tell us whether a defective attestation is enough to nullify a POA or whether an abuse by the Attorney is also required for nullification. Owners must, therefore, be left wondering why the applications was made and why the interim order of the lower court was hailed in the property press last month as a great triumph for owners. In a similar fiasco, owners have been advised that the grace period which expires on 31/12/2013 to lodge a claim under Cyprus law for a purchase that occurred more than six years ago, did not apply to them. They were advised that they have six years to file a claim from the date the Bank calls in the loan. Miss that deadline and owners may have found that they could not claim and not only would their claim but also any defence and counter-claim may have been time-barred”. Luckily for them, on 05/12/2013, the Cypriot Parliament appears to have approved a proposal to extend the grace period (official confirmation awaited). Owners who relied on the advice that the 31/12/2013 deadline did not apply to them may have been spared the anguish of discovering that their claim, defence and counter-claim have suffered a sudden death. This arena is not known for reliable advice. Owners are aware that the issues that gave rise to these disputes include the reliance on advice that proved to be inaccurate. “They must take great care in avoiding these pitfalls”, says George Kounis. “I was surprised to hear that Britons who bought property in Cyprus and may have a right to claim in England, are considering submitting to the jurisdiction of the Cypriot courts because, they were advised that their chances of success are the same as they would be in England. Why do you think the Banks and the developers who have been sued in England are fiercely challenging the jurisdiction of the High Court? It sounds to me like déjà vu”, Kounis went on. “Is it not the same owners that allowed themselves to believed that the system in Cyprus was the same as it is in England that landed them in trouble in the first place?” he asks. The reality of the situation is that these legal proceedings are likely to take a long time to resolve. Cases in Cyprus take many years to go through the courts and actions that have commenced in England are not expected to progress until the second part of 2014 after an appeal on jurisdiction has been heard in London next June. Even then the loser is likely to refer the matter to the European Court of Justice. Banks are also just realizing that not only are they facing thousands of claims both in England and in Cyprus but even when they have succeeded in obtaining a judgment against an owner in Cyprus, the registration of such a judgment in the UK could be overturned if the rights of the owner to have the case heard in England were ignored by the Cypriot court. “We are seeing more and more European Enforcement Orders which are defective“, says Kounis. “Banks could be stuck in the legal system for ages”. This leaves the parties in mid water with nothing else to do but negotiate. “But the key to successful negotiations is to look for alternative solutions, be fair to the other side and be ready to shift your position”, says Kounis. “You need to win the minds of all parties to the proposed solution and avoid ineffective stabs such as the POA saga last month. This can only anger your opponents and upset colleagues who may have done nothing wrong. This is no way to get consensus”. Property values have fallen sharply and re-sale is extremely difficult. To solve these problems either the involvement of the developers or the compulsory take-over from developers is necessitated and more imaginative schemes are required to resolve these problems than straight haggling on how much the Bank should write-off. “Short-termism and lack of co-ordination are curses that Cyprus seems to suffer from”, says Kounis. “Government, Banks and developers do not appear to be talking to each other on how to resolve these problems and come up with schemes that will encourage owners to retain these properties and attract new purchasers. Until they do, the slide will continue”. 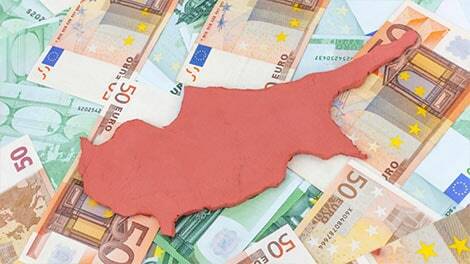 Maxwell Alves Solicitors specialise in Cyprus property matters and represent hundreds of owners. The firm is on the UK Trade and Investment’s panel of recommended advisers for inward investment as well as trusted advisor for UK companies exporting. Maxwell Alves is also on the Law Society’s Network of Lawyers for your Business. Copyright © 2005 - 2019 Cyprus Property News. All rights reserved.